These gifts to the Providence Fund allow flexibility in allocating resources to the areas where there is the greatest need. 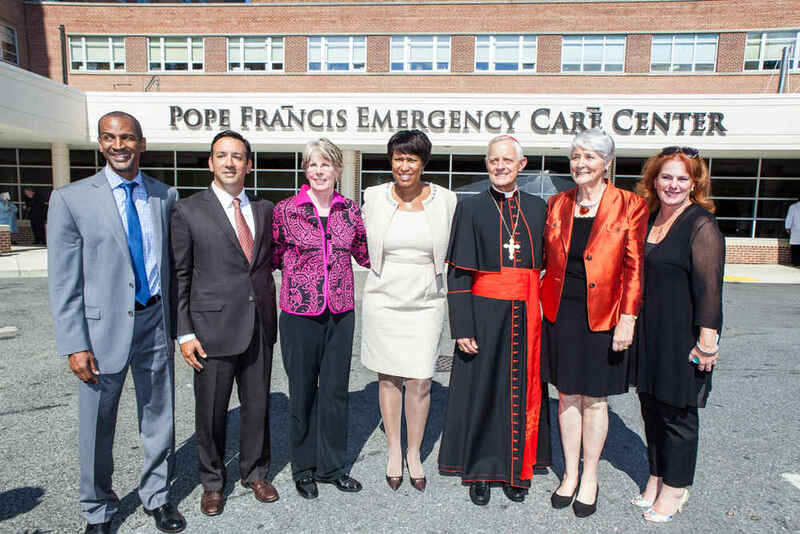 Such gifts are vitally important as they enable Providence to direct funds to meet critical needs. Donors may specify a particular purpose or area for the donations. Please call the Foundation Office at 202-854-7776 to identify an area or purpose. All funds contributed to support the charitable programs of Providence are received by Providence Health Foundation. The Foundation's purpose is to develop the philanthropic resources that will provide present and future support for the mission of Providence. Gifts to Providence Health Foundation are tax deductible to the extent allowed by law. A cash gift is the simplest form of support for Providence and can be put to use immediately. Cash gifts may be conveyed by check, money order, bank draft, electronic fund transfer and credit card. To make a credit card gift, please click here. You can make a tribute gift to recognize a special occasion or accomplishment such as a birthday, marriage, graduation or recovery from illness. You can express your thoughtfulness at holiday time, a wedding anniversary or the birth of a child. These gifts may bestow an honor on a caring, compassionate physician or nurse, and employers could use them to recognize employees on special occasions. We will acknowledge each memorial or tribute gift with a letter sent to the person, or the family of the person in whose name the gift was given. Gifts amounts remain confidential. As the donor, you will receive a separate acknowledgment as all gifts to Providence Health Foundation are tax deductible to the extent permitted by law. Contributions of $5,000 or more enable Providence to fund vital programs and assist in providing resources needed to develop new models of care in the District. Major gifts can be restricted to a facility or program of your choice and may offer named giving opportunities as well as other forms of recognition. Providence Health Foundation can accept gifts of personal property (e.g. real estate, jewelry, equipment, art, etc.) if it benefits Providence and/or can be converted to cash. If your company offers an Employee Matching Gifts Program, you can make your dollars go twice as far with a matching gift to Providence Health Foundation. Many employers will match your contribution, even if you are now retired. With this type of gift, you can easily double your support for Providence and strengthen the work we do for the Washington metropolitan area. When you send us your donation, just mail your company’s matching gift form with your contribution and we will submit the paperwork to your employer. Providence Health Foundation may be named as a beneficiary in your estate planning as a full or partial beneficiary. For many donors, gifts made through their wills are the best way to make substantial contributions to their favorite charities. With a bequest, you can make a significant gift upon your death while retaining your assets during your lifetime and may eliminate or reduce federal estate taxes. If you would like to notify Providence Health Foundation of your intentions and to be recognized for your intended gift, please call the Foundation office at 202-854-7776.